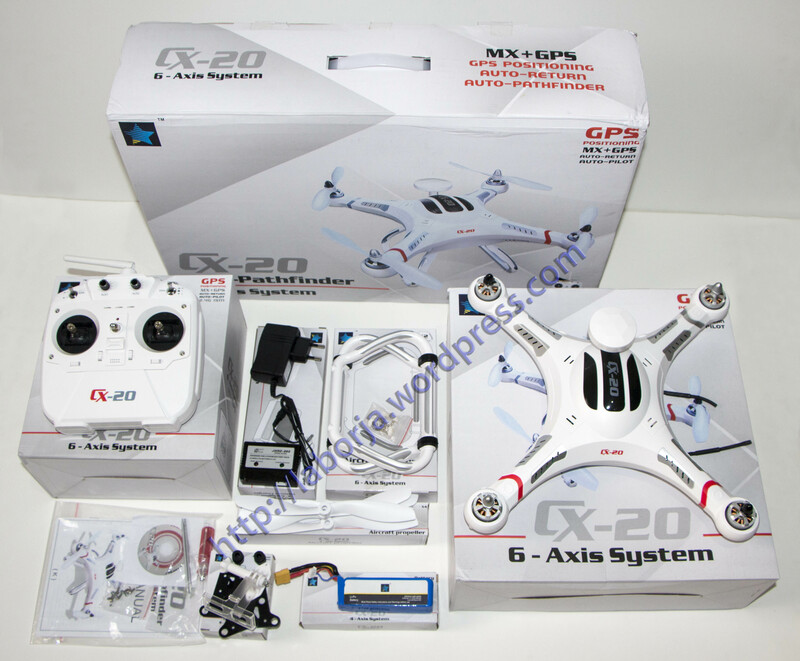 Cheerson CX-20 auto-pathfinfer 6 – axis system quadcopter for flying play. It has the GPS hold system, has auto-return function. It can fly about 15 minutes. It can take about 350g weight thing. 3. Please fix GPS center position before long distance flying, and lost/crash during bad rainy weather is not responsible.